A question commonly asked is can I purchase gold bars from a bank? While banks have traditionally maintained a percentage of their assets invested in gold holdings they will not usually sell them to private investors. You can typically purchase gold bars from a mint or private dealer. When you purchase gold bars you will normally expect to pay a price that is a little more expensive than the current market value. Generally bars offer a lower price premium than gold coins. On the downside bars can increase the risk of forgery from unethical gold dealers. The smaller the amount of gold you purchase the higher the premium will usually be. If you purchase your gold bars on the international market you can expect to deal with currency differences and additional exchange fees. It’s generally safer to buy from established mints or dealers who have a long standing track record. When purchasing gold bars you’ll want to make sure you get a certificate that accurately breaks down the manufacturer, weight, size and certificate number of the gold bar you’re purchasing. You’ll want to compare the certificate to the information that is stamped on your bar to ensure it is genuine. 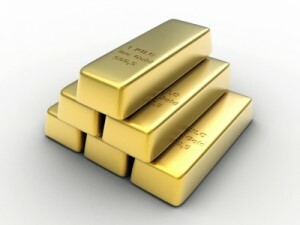 When you purchase gold in the form of a bar it is generally 99.99% pure gold. You should carefully examine the gold bar stamp to ensure it meets the purity you desire. Gold bars usually come in two different forms these are minted and cast. Minted bars are treated similarly to coins and are stamped with the necessary information detailing their attributes. Cast bars are also called gold ingots. These cast bars usually include information from the manufacturer, the golds purity and unique registration number. 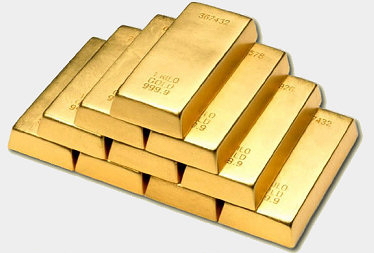 Gold bar buyers should be aware that gold is sold based on the Troy ounce. This unit of measurement is approximately 10% heavier than a normal ounce. A troy ounce is the equivalent to 31.1034768 grams. 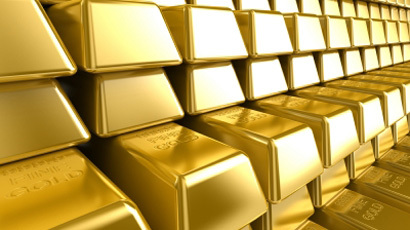 In this video Barry Stuppler shares some advice about why you should invest in gold. The main reason you should invest in gold right now is to protect your assets from currency devaluation. you can protect against the governments devaluation of their currency by transferring funds from paper money holdings to gold EFT or bullion. Gold has traditionally done very well in times of political unrest. Currently the Euro is experiencing major fluctuations and upheaval. Gold investments can be a good hedge against turbulent times. Gold has increased in value 300% in the last 8 years. Diversifying your investment holdings with a 20% hold in gold has been proven to be a smart choice. Historically gold has proven to be the best way to preserve value. Today the gold price reached a record high at $1,043.30 an ounce, while the dollar dropped due in part because of a report that the Gulf Arab states were considering abandoning the dollar. Countries like Russia, Saudi Arabia, Japan, China, and France have been rumored to be in talk, and there’s speculation that they may attempt to replace the U.S currency with a basket of currencies. This rumor has been denied by Saudi and Russian authorities. If the Dollar continues to decline it could push the price of gold to new highs. Metals like platinum and silver have also seen gains as gold has climbed in value. Investing in gold provides great security in turbulent financial environments, especially considering its track record of maintaining long-term value. Often gold is not directly impacted by a countries fluctuating currency and credit risks. For these reasons and more gold is a secure investment that’s been proven reliable for years. Over the past two hundred years gold has kept pace with inflation. In the last few years an investment in gold has greatly exceeded a similar investment in the S & P index 500 stocks. In fact since 1999, gold has increased in value by more than 200%, while a vast amount of stocks have actually lost value. An interesting thing to note about gold investing is its ability to move independent of key economic data. Increasing your holding in gold can greatly offset a portfolios overall risk and protect you from stock price fluctuations. Diversification in gold is a great hedge against relying only on traditional financial assets like mutual funds, bonds and stocks. You can invest in gold in a variety of ways. There’s gold mining equities which are often put together as gold-oriented mutual funds. Gold stocks, futures and mutual funds are another way to increase your holdings. In addition you can also buy physical gold bullion, gold coins, or bars of gold. Overall buying gold is a significantly less volatile way of investing during times of economic uncertainty and can be a great way to add much needed security to your portfolio.